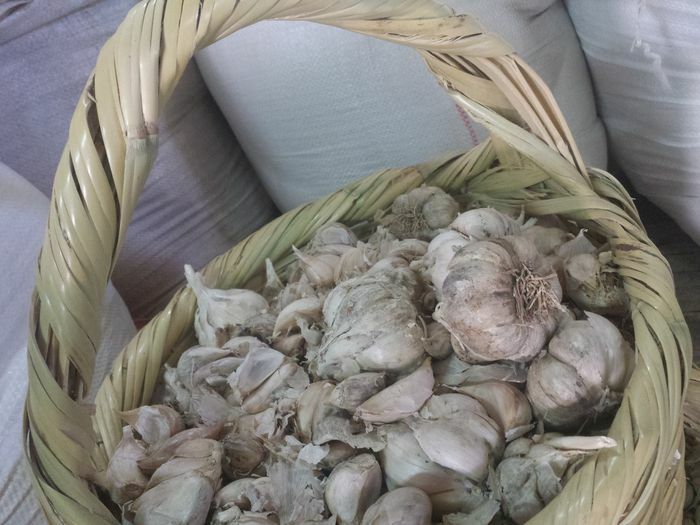 Home » Destinations » Israel » You Won't Believe What’s Happening in Nazareth! Standing over 200 years old is an Arab family mansion located down the narrow and winding cobbled streets of Nazareth. Courageously saved from a fire with the life of its namesake, the granddaughter decided to start a bigger dream and opened it up as a guesthouse with the help of a forbidden partnership. Nazareth is the city everyone forgot. Made up of 70% Muslim and 30% Christian, it holds neither Jew nor any other religion. It fell under great disrepair many years ago, turning into a hub for drugs and violence, that few would even consider visiting. Then a Jewish entrepreneur saw more to it than meets the eye and, through the help of one very kind Arab, the daughter of Fauzi Azar, opened the guesthouse in 2005. 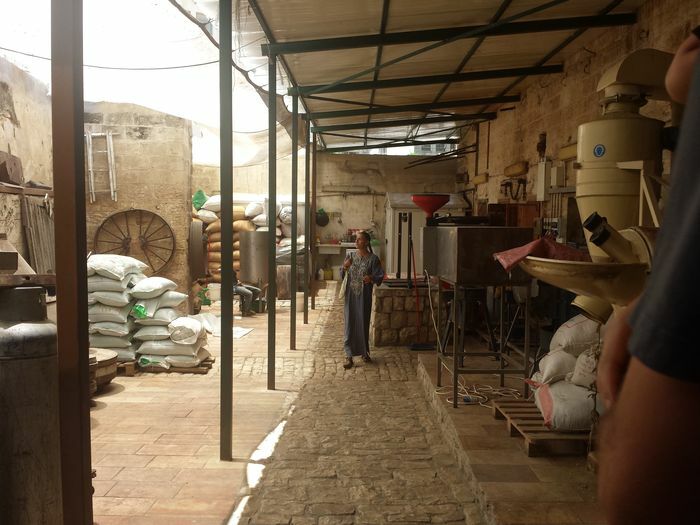 Fauzi Azar Inn brought tourism back to Nazareth. Restaurants started opening up, people considered staying the night instead of an hour on a tour bus. Now Fauzi Azar Inn is working at encouraging people to stay more than 1 night and we were happy to have the opportunity to spend 3 nights in this dangerous city. Dangerous? Well Nazareth isn’t quite what we expected. In fact it was completely opposite. We felt safe, the streets were bustling and the atmosphere was friendly. Nazareth’s winding, rocky roads first greeted us. Small alleyways with ancient stone buildings rising on either side created shade and a welcoming impression. Walking through a town that was the home of Jesus added to the character. 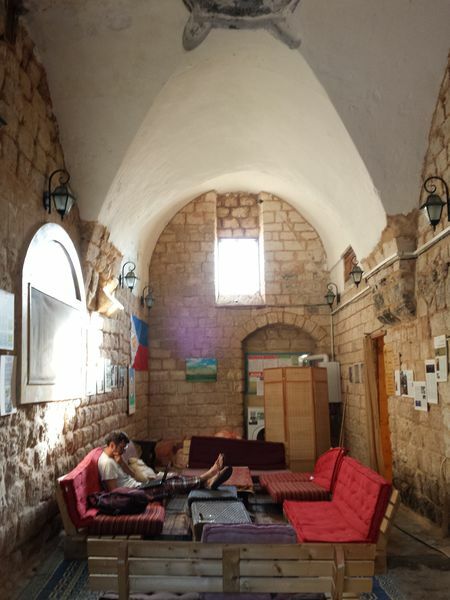 Our bus was unable to transverse the tiny roads to the guesthouse, so we took a quick walk from Mary’s Well at the centre of town to Fauzi Azar Inn where even the entryway prepared us for something promising as we ducked through a green door in a stone wall. Once inside, we were in a beautiful open-air courtyard with cushioned chairs and lowered tables. We ascended the stone stairs to the reception area where a young, friendly staff member greeted us warmly, explaining the area and the guesthouse, then showed us personally to our room. The room was the perfect balance of modern and authentic. Natural wooden shuttered windows opened out onto the stairs and alleys of Nazareth, while the inside kept cool with the reverse-cycle air conditioner. There was a comfy queen bed and 2 single beds, plus a well-appointed bathroom with shower. The Wi-Fi connection was very good and just outside the room was a small sitting area so we could put the kids to sleep and sit comfortably, working on our laptops or talking without disturbing our cherubs. There was a guest kitchen at the top of the stairs where we could refrigerate our food items or cook if so inclined. The table in the kitchen featured appetizing cake freely available, and the reception area contained a bowl full of fresh fruit and another with candy. While the kids tried to make the most of the free candy, they sure got their share of the free fruit and so did I. The grapes in Israel are just perfect. Perfectly good-looking and perfectly tasteful. Ever had an Arab breakfast? 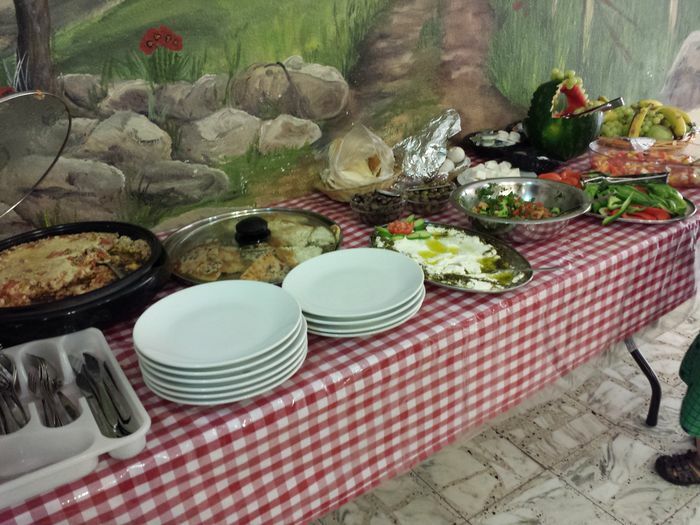 Fauzi Azar Inn included breakfast every morning and is reported to have the best Arab breakfast in Israel. I had to agree; it was a pretty amazing breakfast that we enjoyed thoroughly. 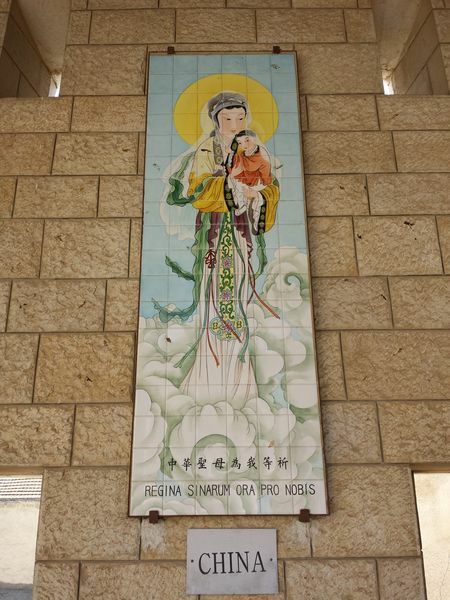 After a very restful first night we met in the lobby at 9am for a free City of Nazareth tour. We were introduced to the granddaughter of Fauzi Azar and she revealed some of the stories and secrets of the house. Then Linda showed up. 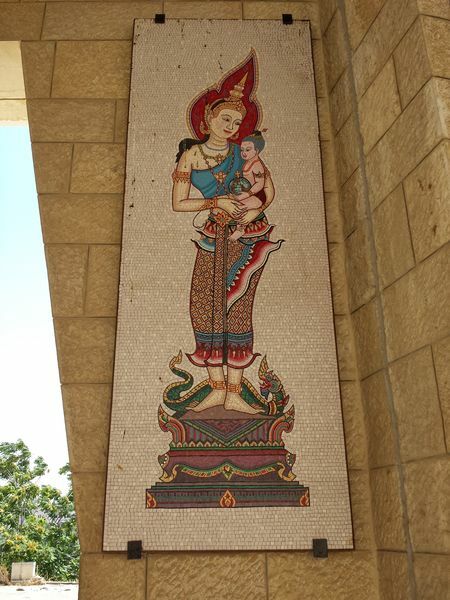 An outgoing American who, while backpacking in Israel several years ago, discovered Nazareth and never left. Now she gives freely of her time to guide visitors through the seldom seen parts of Nazareth. The tour is not about which churches to see and what Mary’s Well is, it is more authentic then that. Linda took us through ancient houses dating back thousands of years. 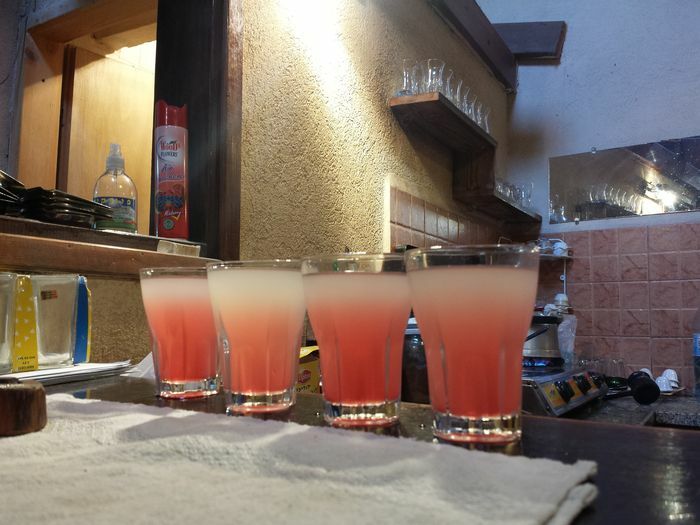 She took us through the markets, stopping for local drinks of lemonade & pomegranate, and visiting local restaurants that also offered us warm hospitality. While in the marketplace, Linda introduced us to a Jewish Rabbi who was jovially talking to a Muslim Imam. As a Christian, Linda had got together with both gentlemen and conducted a prayer meeting for the peace of Israel. That is not something to be taken lightly considering the political and cultural tensions in Israel at a broader level. Nazareth encapsulated a surprising sense of community and cohesiveness even amongst different people from different cultures and backgrounds. We had a large taste of culture when visiting a tailor for local Palestinian dress. I got chosen from our group to be the model and my husband was convinced we needed to buy it. I was not so convinced. He changed his mind rather quickly when he heard the floral embroidery was an announcement to the world that I was single and ready to be taken. 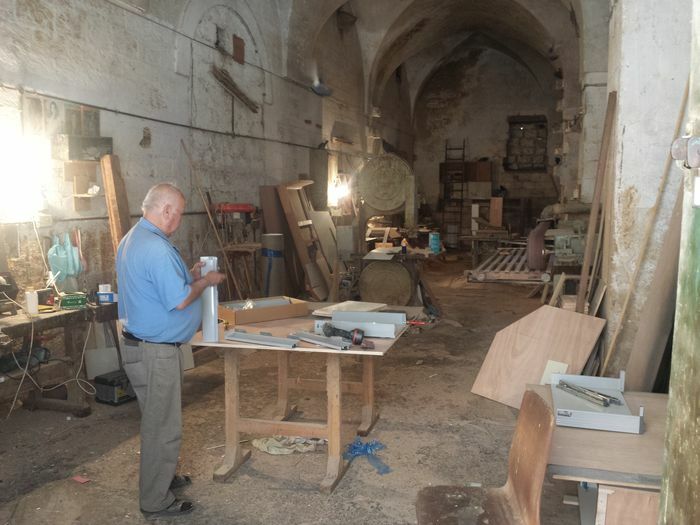 Linda led us to a carpenter’s workshop, which to me seemed much more a “Jesus moment” than Bethlehem’s birthplace church. We also visited a deliciously tempting spice market filled with dried fruits and lollies that we had free reign to sample – the kids fell in love with Hong Kong pebble chocolate. 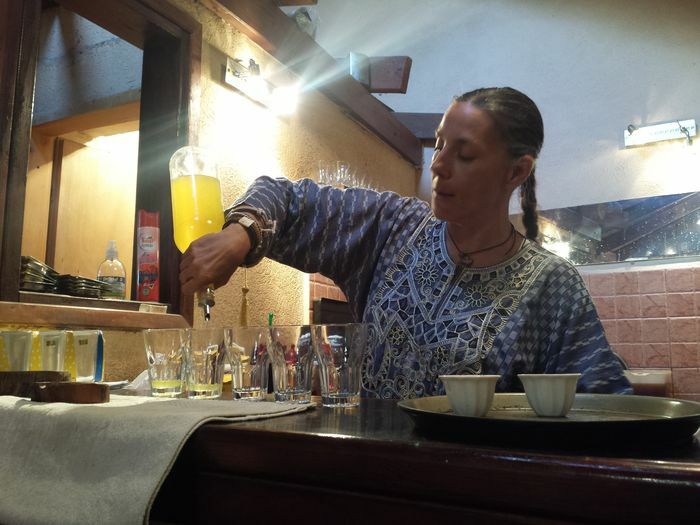 When our tour was finished we invited Linda to have lunch with us and listened to her enchanting stories about her life in Nazareth, about her work with a local orphanage and bringing the businesses together in support of that. 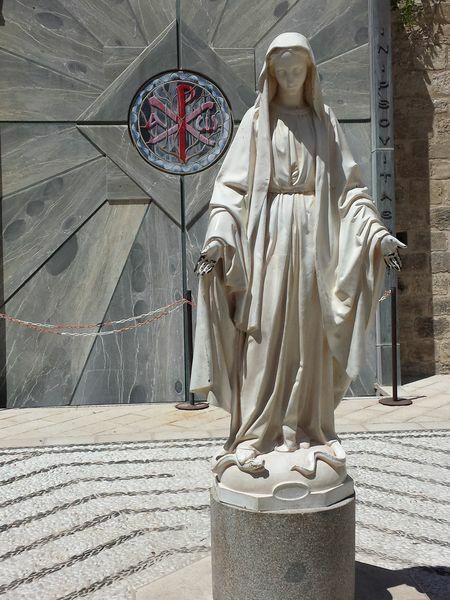 She’s also played an important part in helping to bring Nazareth out of it’s tarnished past, transforming it into a world-class tourism destination. On our way back from the extensive 2.5-hour tour we decided to stop at the Church of Annunciation, which supposedly is the spot Mary heard from the angel that she was to birth the messiah. 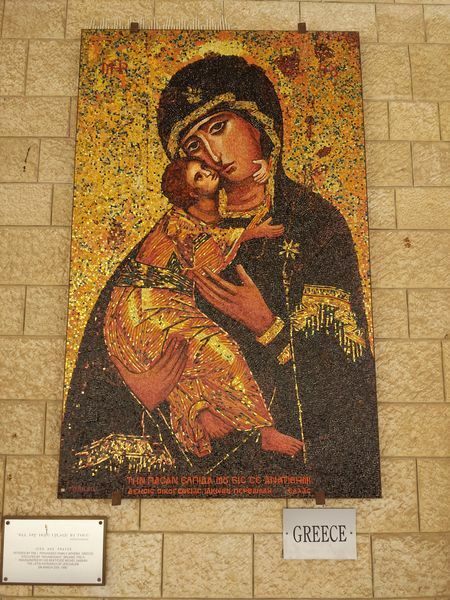 The Church courtyard was filled with vibrant mosaic art from all over the world dedicated to Mary and baby Jesus. We headed back through the market towards Fauzi Azar Inn, once again marveling at this incredible place we got to call our home, if not too briefly. 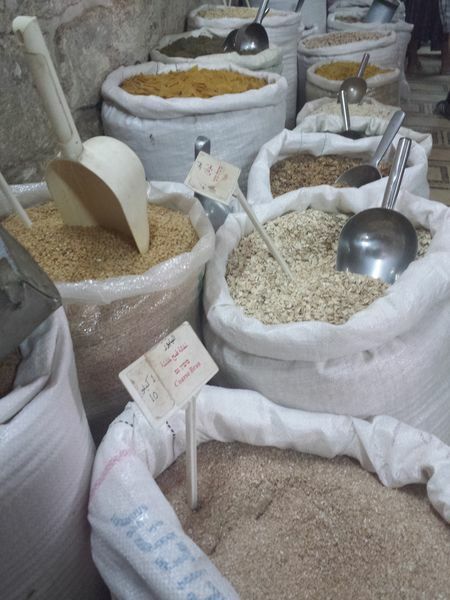 We look back fondly on our visit to Nazareth and are excited to see how it will continue to transform in the coming years as more tourists realise there is so much more to Nazareth. Fantastically we already got to introduce it our American cousin - let's hope many more. 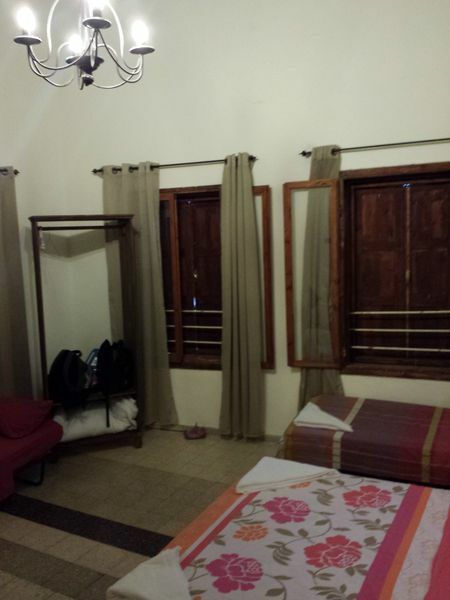 Photos of Fauzi Azar Inn are here in our Photo Journal. Oh this just looks lovely. I laughed when looking at your "dress up" photo. Years ago, Alan and I were in Egypt and took similar photos. Fun! It looks like a very interesting place. The Guest House looks wonderful and looks like you enjoyed a great tour. Love all the photos. Its really wonderful place,the streets,the guest house look so beautiful.Planning to visit there!!! I love all the pictures! Such a rich history. Of course, my favorite is you in the "single lady" garb. This sounds like an interesting tour--I have never really thought about visiting Nazareth and had no idea of its past troubles, but it sounds like a good place to make a stop now. The history would definitely be interesting. Great pictures--love the ones of you dressed up! That's extremely cool to me about the Christian, Jew and the muslim! I also didn't know embroidery meant you were single, hilarious. Your photo in the Palestinian dress reminds me of Mary trying on the traditional Middle Eastern veil when we were in Jordan. Our guide seemed to get a kick out of it, but I definitely preferred her in her normal outfit. But, like you, we loved getting an immersion in Middle Eastern culture and seeing those ancient lands we'd only read about in the Bible. Looks like a fun tour! Love reading about places I would have never known to consider before for travel. Funny about the embroidery! Would have never known that! Will be sure to look into this place more when we are figuring out our own travel. What an amazing place. I love the photo of the kids on the stairs. Gorgeous!